Negev communities begin to return to normal life as reported cease-fire holds through the night after south endures hundreds of rockets. Southern Israel experienced a quiet night after hundreds of rockets were fired by terrorists from the Hamas-controlled Gaza Strip on Wednesday and Thursday. The Al-Jazeera TV channel reported that a cease-fire agreement had been reached between Hamas and Israel and that it had been in effect since 10:45 PM Israel time Thursday night. An Israeli source said that Hamas had announced that it was interested in a cease-fire from Friday morning, but Israel denied the existence of a truce between the sides. The Political-Security Cabinet instructed the IDF to continue to act with force against the terrorist organizations in the Gaza Strip, and the Home Front Command facilitated the safety instructions for residents of the Gaza perimeter. Yesterday, a rocket struck the city of Be'er Sheva for the first time since Operation Protective Edge in 2014. At the same time, at least four mortar shells landed in open areas in the Eshkol Regional Council without an alarm being heard. Following the attack on Be'er Sheva, Soroka Hospital decided to transfer the neonatal and neonatal department to a protected area. 180 rockets and mortars were launched at Israeli territory overnight Wednesday, with more rockets being fired throughout the day Thursday. 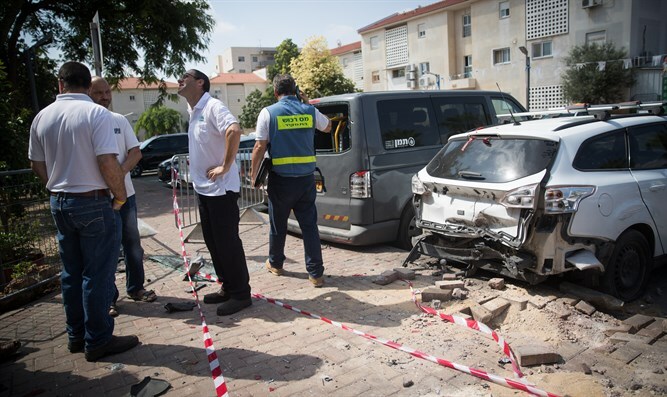 Several Israelis were injured in the rocket barrages, including one woman who was critically injured.